My Roland is still progressing, but man oh man does it take forever to make anything with such big yarn! Seriously I feel like each stitch is made in slow motion just from the time and effort it takes to wrap it around and pull it through each time. I'm on the decreases for the shell, so I am in the home stretch at least. My quick project has turned out not to be quite so quick, so I may have to set this big guy aside until I finish more gifts :( Just for the record, that gray "shell" piece already has used almost 2 entire skeins of Lion Brand Hometown USA! That's nuts! Judging by the weight of this piece alone, I can tell you right now this things is going to be really heavy. I hope I have enough poly-fill! On Monday night, I decided to be responsible and work on part of a gift. I cast on this toddler sized mitten as part of my sister's present (which it now turns out may cause her to question my sanity, but what can you do?) She already saw this piece yesterday , by the way, so I'm safe in posting it here. 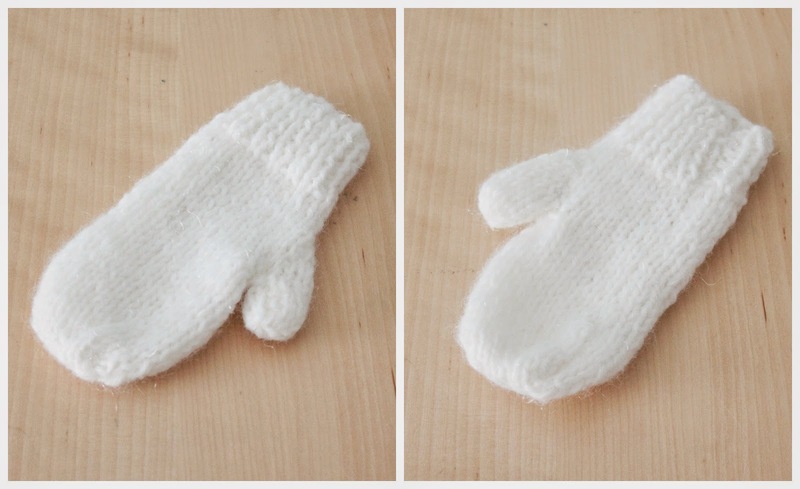 I made this little toddler sized mitten using the Frozen Mittens pattern (which is a free pattern from Bernat). I made the smallest size because it said it was for 2 to 3 year olds - just the one mitten only took me 2 hours (during which I watched one of my favorite movies), then I decided I would have Luke try them on before I made the second one ... just to make sure. It's a good thing I did! I could barely squeeze his little hand into this thing, lol. I did manage to get it on him (and he thought it was pretty awesome, because he started to laugh and rub my leg with his mitten covered hand), but it was definitely not big enough. Apparently my nephew is big for his age in ALL ways. Duly noted. I need to make his bigger for my project, but this left me with one tiny completed mitten. Guess what my Christmas ornament for this year is going to be? lol It's the perfect ornament size - I just need to add a hanger and I think I'm going to embroider the year on it. I think it actually works out great - what better way to commemorate the year I had no money than with a handmade ornament, lol. 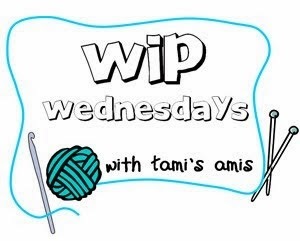 And as usual, I've made a tiny bit of progress on my Emelie cardigan. I'm almost finished with the left front now! lol This poor project has taken so long. I'm to the point where you bind off for the neckline on the left front. 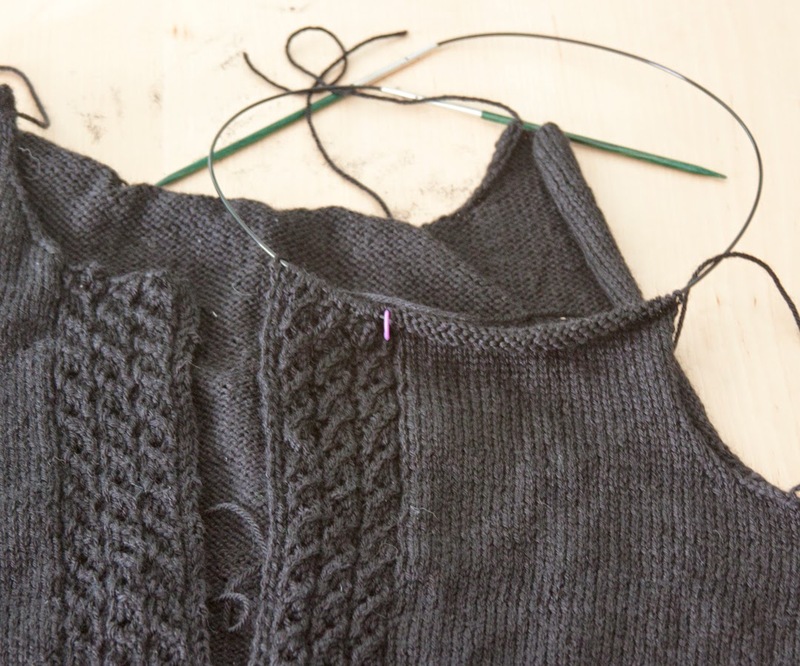 I think I will skip in the directions and do my button bands before the sleeves just so I can make sure I have enough yarn - I've ended up making more modifications than I originally thought, including making it longer, so I would be devastated to end up with uneven sleeves. Hopefully it works out! So, that's all I can show you that I've been working on lately. Seriously, I can't wait til after Christmas just to show all the other things I've made, lol. Do you have any secret projects in the works?